This electric motor driven version of the popular 4″ SLD Dri-Prime pump is widely used for all types of drainage and waste water applications where diesel power is not appropriate. The pump is complete with Auto/Stop/Start Panel. 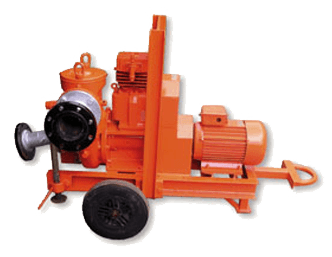 This electric motor driven version of the popular 4″ Dri-Prime pump is widely used for all types of drainage and waste water applications where diesel power is not appropriate. The CD100 (EL) 4″ Electric Pump is complete with Auto/Stop/Start Panel.